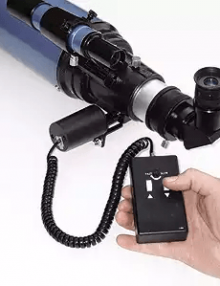 The Hitec Astro DC Focus Controller allows you to accurately control a focus motor on your telescope via the hand controller or PC . 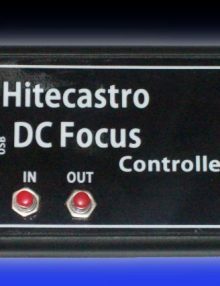 Hitec believe they have produced the finest digital DC focus controller available, specially designed and extensively tested to support the ‘Sky-Watcher’, ‘JMI’ and Meade #1209 zero shift focusers. 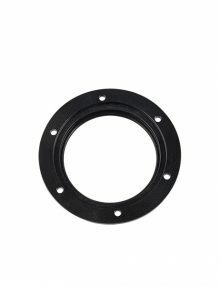 Sockets for the motors are standardised on the high quality CNC machined housing. Additionally manual focus buttons are included so you can use your Hitec DC Focus unit even when its not connected to a PC. Of course, it’s when connected to a PC via USB2.0 that HitecDCFocus comes into its own. The specially written software provides exquisite control over your focus motor. 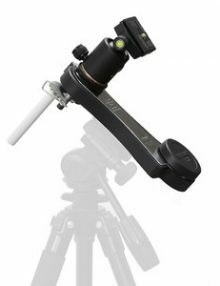 The minutest of focus motion can be achieved by adjusting the parameters of the software to your needs. 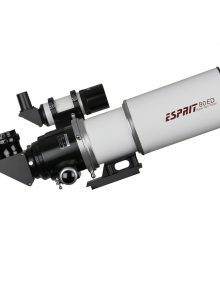 The bundled dedicated software provides a vast amount of options to satisfy the most demanding of astronomers.Everything from the speed of the focuser to the frequency the motor operates at can be controlled. There’s also a ‘simulated’ step mode which emulates a stepper based control in function. 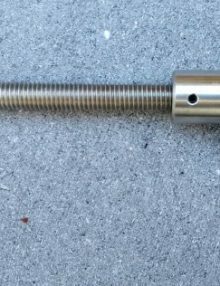 It should be noted that all DC motors are NOT capable of repeated absolute positioning. Unlike stepper motors which can be commanded to move a fixed number of steps, DC motors can only be turned on and off for a period of time. This limits their use for auto focusing. 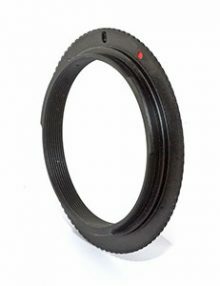 Hitec have tested this with auto focus software and got very good results. If the highest level of auto focus is what you want we recommend our new range of stepper motor based controllers. 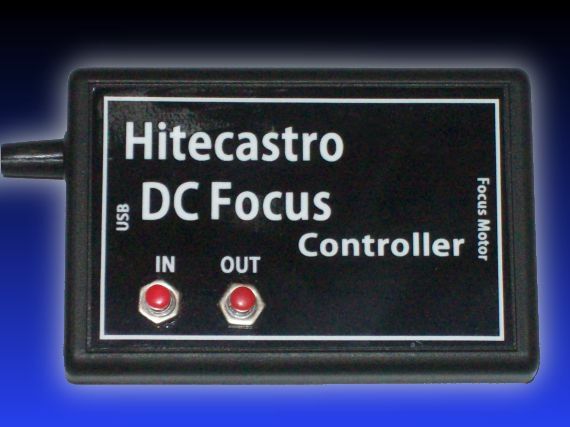 Where this DC focuser excels is in providing the finest hands off control over your focus procedure. The DC motor can either be slewed by pushing the buttons on either or software or the unit itself. 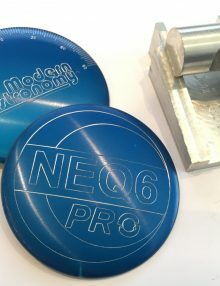 Depending on the settings you can either operate in continuous mode where the focuser will move until the button is released or our simulated step mode allows the focuser to be moved in equal steps for each push of the button. 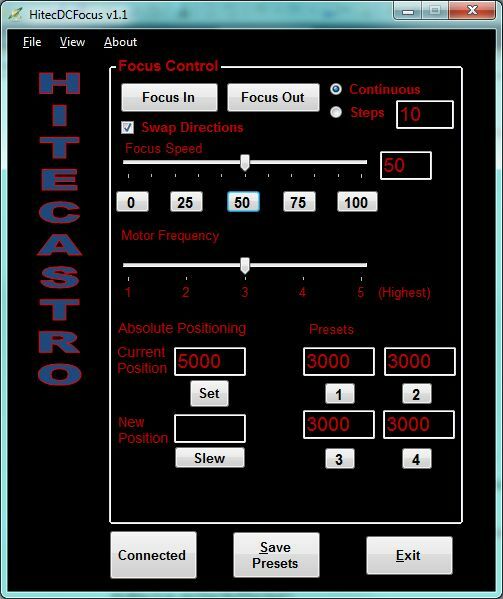 The amount the focuser moves for each step is fully controllable through the speed and steps parameters of the software. 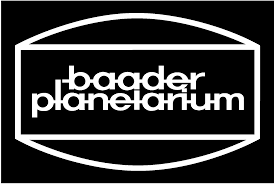 We think planetary imagers will be particularly interested since anyone who’s tried to focus on planets at high magnifications will know that even touching the telescope causes impossible vibration of the image. 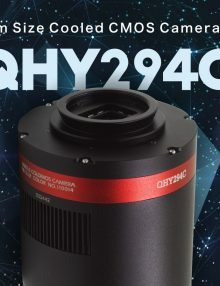 By reducing the speed of the focuser and adjusting the frequency of the motor to suit your set-up you can achieve vibration free focusing even at the highest of F ratios. We haven’t forgotten about visual observers. 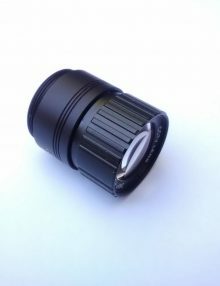 Again focusing at high magnifications can be achieved even with the highest power eyepieces. The addition of slew buttons on the unit itself means that even if you don’t wish to take a PC to your dark site, you can use HitecDCFocus. If you do bring a PC, the integrated night vision mode will help ensure your dark adaptation is not compromised. Hitec have published an ASCOM compliant driver to compliment the software bundle. This allows HitecDCFocus to be used with any software which supports the ASCOM standard such as MaximDL. 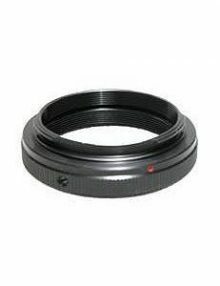 CCD Soft, Focus Max etc. (Please see the caveat regarding autofocusing). 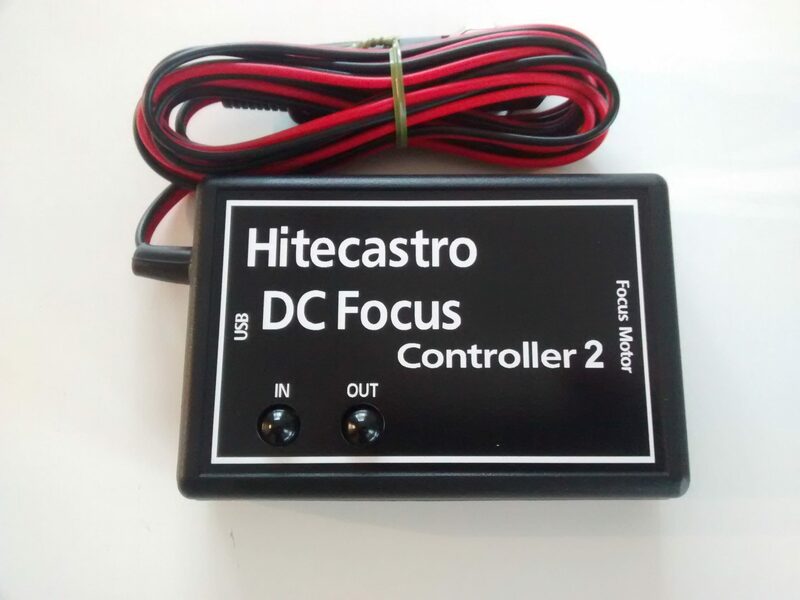 In short, Hitec DC Focus is a quantum leap in functionality and use-ability from the standard motor hand controllers and when it comes to a comparison with manual ‘hand’ focusing, well there simply is none!! Once you’ve focused with this controller you will never want to touch your focus wheel ever again! 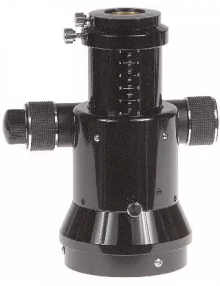 A high quality CNC Machined 10:1 dual-speed 2″ Crayford focuser designed as a direct replacement/upgrade for the rack & pinion focuser supplied with the Sky-Watcher Evostar-102/120/150, Startravel-102/120/150 and Evostar-80ED/100ED/120ED Refractors. 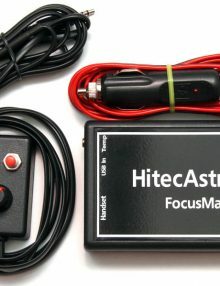 HiTec FocusMaster is a high quality digital focus controller for stepper motor based focusers with inbuilt temperature compensation using its external temperature probe. Works with (free) FocusMax software. 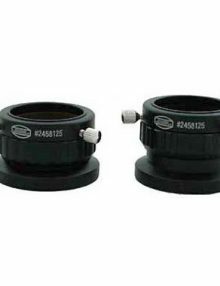 The T Thread to 1.25″ Helical Fine Focuser with 6mm range has optical depth ranges from 28mm to 34mm The base is a female T thread.